Paul Kent, MD of Sureswipe. Cash may seem old-school, but it really isn't, with many purchases still being transacted via notes or coins. Yet, we cannot ignore that payment technologies are advancing - and at a rapid rate. Take, for example, the rise of cryptocurrencies: even South African retailers are pondering allowing Bitcoin transactions, and the South African Reserve Bank is taking a keen interest in this unregulated, virtual currency. Mastercard Southern Africa division president Mark Elliott notes that cash is still king in Sub-Saharan Africa, where only 34.2% of adults have a bank account, and more than 95% of transactions are done in cash. Even in South Africa, where 77% of adults have bank accounts (per Finscope), most transactions are still conducted using cash. Yet, according to Paul Kent, MD of Sureswipe, most South Africans don't use their bank accounts to their full potential. He says while South Africans have a relatively high adoption of transactional accounts, the reality is that the country is mostly cash-oriented, with most South Africans using the bank to receive money, and then pulling it all out. Kent cites a BCG report, 'Improving financial inclusion in South Africa', which finds that only 24% of transactional account holders make more than three monthly transactions of any kind-such as withdrawals, transfers, or card swipes-through their account. The results is that more than 60% of all transactions are conducted in cash, rising as high as 90% in rural and peri-rural areas, where an informal retail sector and low-income levels are more prevalent, he says. And, cash is expensive, despite the thinking that keeping it under your mattress eliminates bank charges. According to Mastercard's 'Cost of cash for consumers in South Africa Study', the cost of cash in South Africa is R23 billion, or 0.53% of gross domestic product, each year. And those costs are disproportionately carried by low-income earners, serving as a major barrier to financial inclusion. Given the lack of payment points, electronic payments are one way to increase financial inclusion. 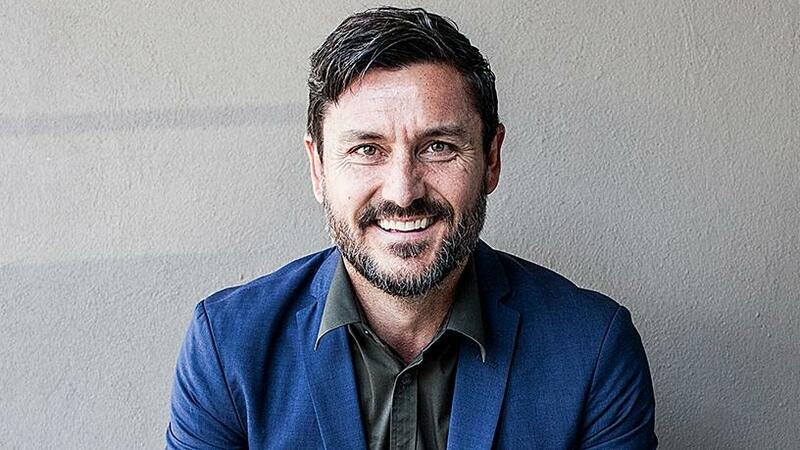 Brendon Williamson, head of business development at DPO PayGate, argues that there has been an increase in consumers moving from being unbanked to banked. Yet, he says, alternate payment options are still secondary in these informal sectors and the likes of Mpesa, which Vodacom ditched after it failed to find traction, have come and gone - making little or no impact. Despite this, Kent says there is now a great opportunity for fintech companies to operate in a blue, almost uncontested, ocean. This has seen increased competition, improved access, new technology and companies such as Sureswipe, Ikhokha and Yoco entering the space, he says. They don't even need to log into online banking and input a lot of payment information. It's a world of safe, easy, everyday payments where no one gets left behind. Pieter Zylstra, regional director, Digital Transformation, MEA, at Orange Business Services, says there is no doubt that digital disruption is currently taking over the African banking landscape, with mobile money being at the forefront of this. Banks are competing heavily with telcos for the dominance of the future of mobile banking, says Zylstra, given that there are more SIM cards in Africa than bank accounts. Kent says this evolution means we can soon expect to see more solutions that rely on mobile, such as Starbuck's pre-order app, which allows patrons to customise their order, set default payment, and simply walk in and pick up their coffee. Or even more Uber-style solutions, where you simply get out of the car and walk away. There's also the consumer expectation of more personalised experiences, where seamless payments remain in the background, and the rise of biometrics, in which authentication is integrated into the customer experience and replaces the pin, says Kent. KFC in China, for example, is using facial recognition for when customers order and pay. Add that to the rise in big data and artificial intelligence and retailers will soon start predicting your purchases, says Kent. Perhaps the most obvious forerunner to this is the store rewards card: swipe your card to get money back, but now the retailer knows quite a bit about you, and could use this information to - for example - let you know you are running low on dog food. As Kent notes, trust and convenience remain crucial for adoption of new payment methods. About a third of South Africans, according to a study by Boston Consulting Group, are worried about fraud involving the use of ATMs and mobile banking. Kevin Barnard, business developer, `"NonStop Eco System' at Datacentrix, believes security ultimately needs to be one of the key focus areas for online trading today, particularly if there is a financial transaction taking place, and is a foundational pillar. The introduction of contactless payments is significantly decreasing the interaction time at the register. Other challenges Williamson cites include that, because new tech is pushing boundaries, it's difficult for current payments rails to keep up. Innovation is forcing changes across all stakeholders within the payment cycle, he adds. Williamson says many new technologies focus heavily on engaging with the customer, making the payment an experience. Vouchers have been introduced, as can be seen in rewards programmes offered by many banks. Crossfin CEO Dean Sparrow adds that Beacon technology has gained momentum in the retail industry, with many retailers looking to direct traffic into their stores. Relevant voucher, reward and coupon solutions linked to a payment transaction have enabled certain retailers to differentiate their value proposition and attract new customers through strategic relationships with financial services partners and the like, he notes. Many retailers have integrated into wiGroup's wiCode platform, which aggregates various different mobile transaction types at their points of sale, notes Sparrow. wiGroup also simplifies the reconciliation and settlement of these for the retailer, simplifying acceptance and reducing the barrier to entry for mobile acceptance in retail, he says. Yet, as Barnard points out, retailers are having a tough time of it because they need to manage, and fund, loyalty programmes. He says the investment should be going into tracking the data properly. Johan Jansen van Rensburg, portfolio and delivery solution manager SI, T-SystemsSouth Africa, adds another challenge to the mix - that of retailers having to cater for all solutions, or miss risking out on revenue. They also need to keep accepting cash, so they can't do away with those systems and the challenges they pose. Then, Van Rensburg adds, there is the risk of theft - or shrinkage - and retailers need to ensure they have security to avoid theft when they implement teller-less systems. "A customer making a mobile payment to a sales clerk in the middle of the store can leave and pick up additional, unpaid-for goods on their way out. Retails that do not yet have security checkpoints at their exits need to put them in place." Another challenge Sparrow points to is compliance and regulation, because payment solutions need to comply with all the required laws. Then there's increased cost and complexity, as well as customers wanting frictionless solutions. Most commentators concur that mobile is the way of the future, pointing to the prevalence of SIM cards, especially in comparison to the number of bank accounts in Sub-Saharan Africa. And, there are advantages to going mobile. Charles Pittaway, MD of Sage Pay, says online and mobile payments can speed up the check-out process, which goes towards offering a superior customer service, and helping companies streamline business processes and move towards omnichannel commerce. He adds that in a busy retail environment, time is money. If you can accept mobile payments, you can reduce the time it takes for customers to pay. Cashiers in store will be able to process payments faster as more of your customers opt for `Instant pay' counters. Queues will be kept moving, which is good for you and even better for your customers. And this is good for customer service. Elliott's vision of the future includes one in which people don't need to queue for hours to send money to their families in the rural areas, or where no one needs to withdraw cash from an ATM and then stand in a long queue at a retailer on a Saturday to pay a rates bill. "They don't even need to log into online banking and input a lot of payment information. It's a world of safe, easy, everyday payments where no one gets left behind." Paul Kent, MD of SureSwipe: We have seen the convenience factor of card payments evolve from zip zap machines to electronic terminals. We have experienced trust, or security, improvements with the introduction of EMV (CHIP and PIN cards) and, in more recent years, we have seen the use of QR codes as a method of payment change the purchase experience in restaurants. The introduction of contactless payments is significantly decreasing the interaction time at the register. Contactless payments are not only driving more card use, but are also contributing to the rise of wearables with payment options integrated into items such as mobile phones, fitness devices, jewellery, wristbands and watches. What challenges are involved with the change drivers in the payment environment? Joanne Shields, MD, BT in Africa: The evolution of core technologies is seeing a drive towards ubiquitous IP enablement, while there is also the emergence of smart devices and 'low value payments'. This has also led to a fragmented marketplace with many suppliers. The challenge is to ensure that all suppliers are Payment Card Industry- (PCI) Data Security Standard- (DSS) compliant. In addition, the proliferation in the number and types of connections between a point of sale and a host datacentre - including linking payment processing to ticketing, loyalty and rewards programmes, for instance - also increases concerns about the level of security. Meanwhile, the increase in transaction types and volumes results in inevitable increases in costs to manage and resolve issues in the value chain. What new tech we can expect to see in future? Self-scanning, either using an application on a mobile device, or an in-store provided wearable device. The customer scans the codes of the goods they wish to purchase without needing to physically add them to a basket, then proceed to checkout to calculate their `basket'. Once calculated and paid for, via the payment method of choice, their order is delivered to them from a warehouse at the back, and they leave. Self-service pay points that cater for multiple payment methods, such as the pay points currently used at parkades that allow for cash, card or app-based payment. These are being investigated for retailers, to reduce queuing and resources. Mobile payment devices that can be used by sales clerks for the duration of the customer's visit to the store, scanning the articles and then accepting payment without needing to queue. Entertainment and information options to manage customer boredom in queues. Retailers are finding that customers tend to abandon queues that are too long, which is an unavoidable part of sales and store events. To retain customer interest, they are leveraging entertainment points such as screens and interactive touchpoints. Perhaps not a technology, but one that technology will enable, is that retailers are looking at providing Stokvel-type savings, account and payment options for customers, where many can contribute to a single account for use by the members. One of these concepts involves customers showing an ID or store card when they enter, giving the retailer knowledge that the customer is in store. The retailer can then access customer data to review what the customer has previously browsed online or recently bought and make recommendations to the customer about new products similar to something they have browsed, or to match a prior purchase. Customers in store can browse items, such as clothing, on display and scan the codes of items they like using a wearable device or mobile phone app. The items displayed are singular and of average sizing. The customer can go to a 'virtual dressing room and stand in front of an augmented reality mirror that displays a 3D image of their body in the particular item(s) of clothing. Customers can then select the items they want, remove the codes of those they don't want and pay for them using mobile payment, or other preferred payment option. The items are then delivered to the customer before they leave the store. Grocery retailers are also looking into click and collect options, where customers can use touchpoints in common waiting areas, such as coffee shops or the airport, to order their purchases. These are then delivered to a point that is convenient for collection, such as a petrol station en route home. Retailers are also exploring deliver to the trunk, where goods are delivered to wherever the purchaser is currently situated.